Happy Saturday and thank you for joining us for Cocoa Daisy giveaway Saturday! 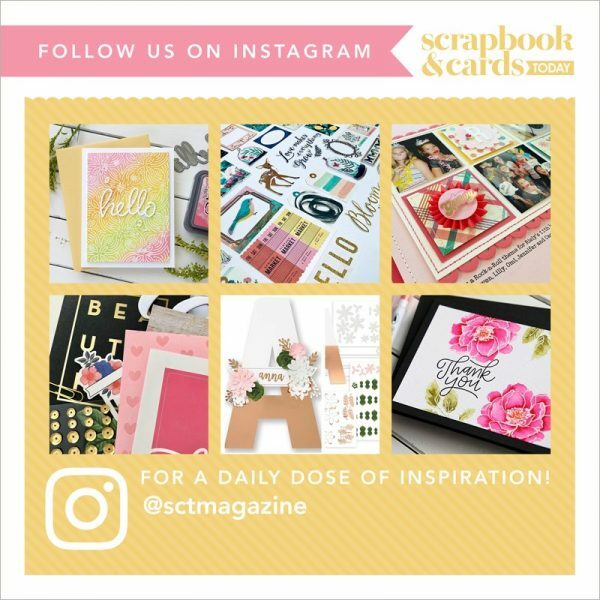 If you're not familiar with Cocoa Daisy, they are a wonderful company that specializes in monthly kits catering to the traditional scrapbooker, project life scrapbooker (check out their Day In The Life kits!) or planner enthusiast! Several kits catering to all styles…love that! They also have a wonderful community of designers and classes to keep you inspired throughout each month, and more. So much more! Would you love to see their June kit? "Where will your next adventure take you? With the Cocoa Daisy June collection, Let's Go, it doesn't matter where you're headed, we've gathered exactly what you need to document it in style. A slight sea-faring theme shouldn't deter you though, this collection works equally well for both the land lover and the ocean explorer. 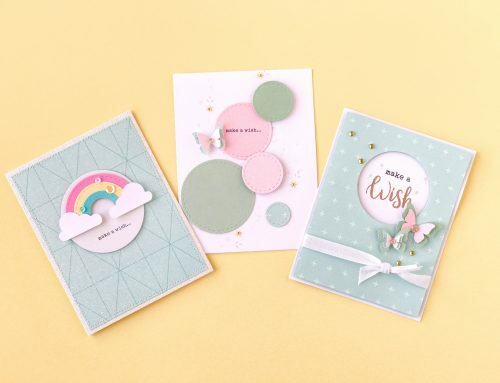 You'll find navy blues, reds, yellows, and soft aquas in our mix of papers from companies such as Pink Paislee, BasicGrey, Heidi Swapp, and Cocoa Daisy (Stephanie Wheeler outdid herself this month with her "Banner Year" paper). Shiny silver chipboard letters mix nicely with an ombre effect sheet of labels, a wooden veneer word, a length of navy and white baker's twine, and a variety of exclusive CD cork arrows. We've also included a very usable sheet of puffy stickers and a flair from Evalicious. Each kit comes with three tags from the Pink Paislee travel line, and you'll get the "Oh Darling…" stamp set designed by Valorie Wibbens (there's more where that came from! ), featuring a some fun hand sketched sea life and great quotes. So pack your bags, it's time. Let's go!" So SCT friends, let's go! Leave a comment below by midnight Sunday, June 28th for an opportunity to win this amazing collection! And if you visit the Cocoa Daisy website HERE and in your comment below tell us what other product you "absolutely, hands down MUST have," we'll include that too! Good luck! Did you see our summer issue that released just yesterday? View or download for free HERE! I love the colors in this kit. Would love to win! Love the colours and designs in these papers. Love Cocoa Daisy and especially the Go See Do Papers. They have really taken things to a different notch. We just got back from a cruise and I have a TON of pics to scrapbook! This kit would be beyond PERFECT!! Great designs for those vacation pictures I have been saving. Oh I will have to check them out this kit looks fun. Love this kit, and would love the Go. See. Do. Paper pack to expand the kit even further! The Away we Go DITL stamps are super cute, too! Thanks for the chance to win! I love all the stuff on their website, but I think the “July day planner add on” is the must-have I wanted most! I love the lets go for sum vacations. This kit would be great for my cruise pictures, Thanks for the chance to win. Nice colors and designs for all my summer adventures! Very generous bundle. How cute! I really like the Day In The Life kit! A couple years ago, I couldn’t find arrows anywhere, now they are everywhere! Love anything with arrows! Thanks for the opportunity to win! Love this kit for scrapbooking my travels! Also the Go See Do. Thanks for the chance to win! Fancy Pants Designs Making Waves Ephemera!! travel is such a hot item now! I’d love the kit. This kit would be perfect for all my summer/travel pictures! I’m also in love with July 2015 A5 Day Planner Kit (it would really enhance my boring planner!). What a fantastic kit – would be perfect for all of my beach pages! I love the patterned paper add on kit so much fun!! Such a neat idea. I would LOVE the Project Art June kit. What a wonderful kit! I love the papers and the DITL kit is fantastic too, such cute cards and what a great stamp set! I like maps of the world and transparencies. Love the travel theme and the colours and patterns in the paper. Oops, forgot to say that I would love to have the Go See Do Patterned paper add-on. Thanks for the chance to win. What a great kit. I would also love to have the June colored cardstock. This is a great kit …love the colours and travel theme. Thank you for the opportunity to win…I also “must have” the adrift brads. Just love this collection! The fancy pants making waves alphas&numbers will go nicely with this kit too. Love Cocoa Daisy…and this would be perfect for all our summer travels! Such fun! These would work great for our Alaskan cruise pics! Thanks for the opportunity to try a great kit! I still haven’t scrapped my hubby’s trip to Germany from 2 years ago. This kit would be perfect for it! I love Cocoa Daisy kits! Thanks for a chance to win! You are right! It is an amazing collection. What a great looking kit! Thanks for the chance to win it! What an awesome collection. Love the map. I would also LOVE to win the Adventure Awaits Stamp Set. I just love the Away we Go stamp set. Every thing is fabulous…love all things nautical! Beautiful kit! Thank you for the chance to win. Oh, my, stickers…stickers…stickers…to choose just one… I would have to pick the ‘Pink Paislee Atlas Puffy Stickers’ so stinkin cute! Love it! the See Do Patterned paper add on. that would complement this collection. thanks for the chance to win a wonderful package that I’ll use to scrapbook my next vacation. I would love to be the proud owner of this kit! Ooh! This would be lovely to use for my photos of my Euro trip last year. Beautiful colours! Thanks for introducing me to Cocoa Daisy! They definitely put together some inspired kits!!! Love the Card sentiments II stamp set. Great travel theme kit–love the stamp set. I have heard about this company but have never seen what they carry. Off to check them out. Thanks to them and the chance to win. We are on vacation….right now…spending some time on beautiful Prince Edward Island. This kit would be great for scrapping my holiday photos. Fantastic looking kit! I would to make vacation layouts with it. I love Cocoa Daisy and the new Summer issue just out too! What a great kit. Love everything about it. Fabulous kit! Love the paper with the continents! The colors look great, and I love the “journey” theme. Thanks for the chance to win! I forgot to say – the Go See Do patterned paper add-on looks awesome! Really superb collection and the Adventure Awaits stamp set is calling my name! Planning many road trips this summer and this kit would be quite handy! Beautiful colours and patterns…I can see my layouts now! Not being a big kit fan, I found that the wonderful colors and designs in the “Let’s Go” kit makes me want to travel again and play with a fun kit like this. To go to those faraway places and see something new or to take the 3-day journey and to celebrate a 45th anniversary with family I haven’t seen in 5 years. Hmmmmmm. Must be telling me something. Love the add ons and can’t decide if the Fancy Pants Designs Making Waves Alphas & Numbers or the Pink Paislee Atlas Ephemera would be my favorite add on. Love the colors in the alphas & numbers, so fun and cool. Fun giveaway. Love this kit. Maps transparencies and chipboard all in one kit wow! Cocoa Daisy is a great company! I love CoCo Daisy’s kits – always so fun. 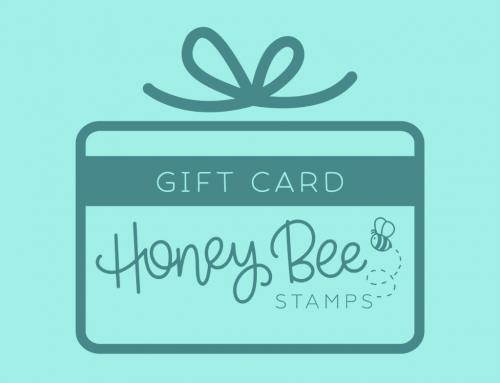 My favorite is their stamp sets and great color combinations. I love the patterns and colors in this kit. This is a great giveaway. Love the colour mix and all the embellishments, but especially those ombre labels! That kit is amazing!!! Thank you for the chance to win :). I’d love anything from their planner section especially a Websters Colour Crush Planner or Folio. I have one folio and absolutely adore it and could definitely use another one. Oh, I love travel-themed supplies! Also, must have the On Trend Sequins – so pretty! I love the patterns! especially the map paper. Going on a trip and would love to win this paper pack. Cute kit! If I was to choose an extra item, it would have to be the Go See Do patterned Paper add-on. I really like that red patterned paper & the ones with gold. I love the new kit, but really like the Project ARt June 2015 kit because it has those fragments, that I can use on cards. I have purchased those before and they just make everything pop and coordinate with diversity. Love this site. So good to be introduced to all these wonderful products! This kit is perfect for documenting our summer travels! love it! This is a great kit what’s not to love!.Thanks for the giveaway. Love the map paper with the whale on it. This kit is gorgeous. Love this month !! What a beautiful kit! Thanks for the chance! I love ribbon! It is so versatile in its uses. It can add pops of color or dimension or both! Oh man, this kit is awesome! This is a great travel collection! I also liked the Pink Paislee Atlas Enamel Shapes. Both would be perfect to scrapbook my daughter’s recent trip to Australia. Love travel-themed lines, thanks for the chance! Love to travel (and scrapbook about it) and love these colors and patterns, too! My choice for an add-on would be the Making Waves Ephemera, but it appears to be sold out, so my next favorite would be the Away We Go stamp set. Thanks for the chance to win! I love all their products. Their ephemera are awesome! Awesome colors and amazing prints!! Would love to have this kit headed my way!!! Thanks Cocoa Daisy and SCT! Fingers crossed! What a great collection. Love the maps, arrows and labels. I love CD! Great kit! Awesome kit! I also love the cut out Thickers. Really fun kit. Love the puffy arrows too. What a lovely collection! Love the colour palette! I have been looking at getting a Corner Chomper lately…an almost “must have”. thanks for the giveaway. I love the adrift stickers- such a cute set! LOVE that kit!!! I have 1000’s of vacation pics to scrap. I would love to win and have the paper add on. Thank you and Christine for the chance. what a great kit!! Also liking the Day in the life kit as well. Did a cruise that I haven’t scrapped yet, and some holidays. Would love to have this kit! I could get started with my trip pages with this collection!! I also like the More June 2015 DITL Cards! Thanks for a chance to win. Looks like this kit would be alot of fun to do. Have a great week. Love this kit…it is super cute! Love the colors and all the fun travel items. I just came back from a bucket list trip to Africa and these would be amazing to scrap all my pictures. I also hands down love the Day in the Life June 2015 kit, great go along to this amazing package. Thanks for the opportunity to win! Wow! Great collection to enhance any story about summer adventures! What a beautiful Kit! Thank you for chance! I am in love with the CD cork arrows and Oh Darling stamp set. Kits are awesome for when I am scrapping while travelling – everything is at my fingers tips! Doing a lot of traveling this summer – would love to win this! Thanks for the chance. I love their kits, and would love to win! I hope I do! Love to travel and I love travel themed scrap supplies! Would love to have this to document our summer vacay!! What a great kit! My fave is the map paper! the cork arrows are my fave! what a great kit…perfect for some summer travels. Great kit for all those travel vacation layouts! I would love to win it, and the Project Art June 2015 kit. Thanks for the opportunity to win. I love the colors and patterns in this kit! I’d love to add the Go See Do Patterned Paper Add-On to the kit to pull a few more pages from it. As we often travel to Europe and Africa this would be super to win. I love all the wood veneers and pink clips from freckeled fawn too. This reminds me…time to scrap last year’s vacations! 🙂 Thanks for sharing this great collection! I like the Adventure awaits stamps. colours in this kit are such an inspiration that I want to get back in my scrap room and start scrapping! I love the colors and embellishments. Thanks for the chance to win! great multipurpose papers and colors. love it! Perfect papers and embellishments for my cruise pictures! I have my fingers crossed! I love this collection! What a beautiful kit! It’s perfect for all of my cruise pictures! Thanks for the chance! Thanks for the chance and I would love the lets go kit as well!! 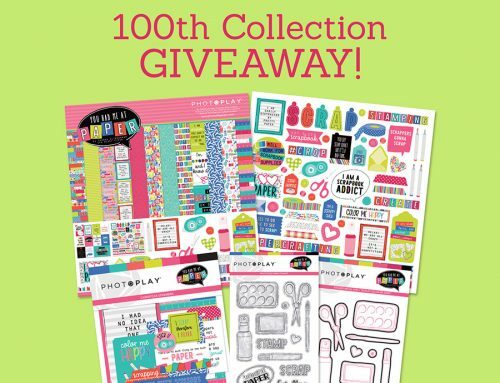 I would love to win this kit I would also love the June Daily Planner kit. It is Awesome! Love the travel papers! Makes me want to get away! And I love the Away we go DITL Stamp set! Another great kit from Cocoa Daisy! I would love to win and use it. I have the perfect travel photos to go with this awesome collection! I would love to win this.We are going on a cruise next month for our 38th anniversary.Perfect kit for our journey. Great collection for travel. I have lots of vacation pics and a cruise to scrap. I also love the ‘Evalicious This Way Badges’. FAb travel themed kit, would love to win it and the Go See Do add on as well. Thanks for the opportunity! Love the kit and the colours of the paper. Thanks for the chance to win! Love the combo of navy, coral and silver!! Oh I would love to win this, the March Kit is fabulous too. This kit looks like it will be all kinds of fun. I like that I could make cards and layouts with it. If I could get the Fancy Pants ephemera it would make me super happy! Love this kit! The colors and all the embellishments look great together. Thanks for the chance to win! Love any kind of travel related kits/products. This kit would be perfect for my photos from last summer. My other must have item from Cocoa Daisy is the pattern paper add on, because a girl can never have too much pattern paper. This is a wonderful collection to win in a giveaway. Thanks for the opportunity. I saw the Day in the Life kit and it is also a great collection to include. Love it. Thanks. Would love to win this kit. I can already picture the layouts from our trip to Chicago this summer. I love the Cocoa Daisy kit add ons for this one, particularly the cork arrows and the brads. This is an awesome kit; love the colors. We’re going on vacation in a few weeks and the Day in the Life June 2015 kit would be perfect for scrapping those memories. Cocoa Daisy always puts together such amazing kits, this would go so well with our upcoming vacation photos from Oceanside CA. I would especially like the pink paislee ephemera pack to go with this kit. Gl everyone! I really love this kit, as well as the colored cardstock. Beautiful kit! Just love how it looks! Great to start my summer travels! I love this!! We are camping a lot this summer so I will definitely be doing a lot of vacay and travel pages. I would also love any of the stickers, wood veneers, woodgrain papers, I cannot pick just one! Thank you! I don’t have children so scrapbooking vacations is what I do… this would be perfect. I love kits. I like the cork shapes that are an add on option. your giveaways are always so great…thank you for this one! 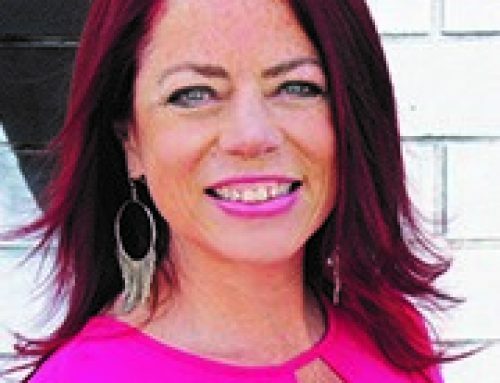 my must have would be the Heidi Swapp veneer woods…love anything to do with wording! Perfect for summer pages and cards! Thanks for the chance to win. Wish I’d had this set for the Father’s Day cards I made! For the absolutely, must haves-I’d love anything from the Project Art June Kit. I still use a folded piece of paper for the embossing powder tray. And those sparkly embossing powders and the pen, Amazing! Love the word Journey, map paper and the arrows. Great kit. Good luck to all. Thanks for the chance to win, my absolute fave in this kit is the whale stamp <3. Absolute must have: Cocoa Daisy Basic Black Ink pads dye ink &/or hybrid ink. I nice to see a travel theme which is rare and this set looks like a lot of fun. Winning would be wonderful! I will NEED to have the Pink Paislee Atlas Enamel Shapes! Love the little airplanes! I was lucky enough to attend a Crop & Create and won a Cocoa Daisy kit – it was fabulous, and I’ve since purchased others! What a fantastic looking kit. I love the color combinations and the paper choices. Thanks for the chance. I like the go see do add on paper kit! Lovely. I love that kit – especially the stamp set! I think the June DITL kit is fantastic as well! Love it! Thank you Cocoa Daisy and SCT! My son got married Saturday! I could use this for so many things! It is always a treat to see Travel themed papers and embellishment. Thanks for the chance to win. This is a great kit. Love the color scheme and all of the different accessories included. Love this kit! Great for summer vacation LOs. My two favorite scrapbook themes traveling and beaches. I absolutely love everything about all the products on the Cocoa Daisy site! It’s like they were made just for me! It was tough picking out a favorite, but I love the Adventure Awaits stamp set. If I don’t win, guess I’ll have to do some shopping there! Love the extra DITL cards. They would be a great addition. Thanks for the chance to win them. I love going on holidays so this paper would be perfect for me!! The newest scrapbook I am working on are the different areas my husband and I travel to. This kit would be great for that. Thank you for a chance to win it! These are gorgeous! This kit would be so fun to play with! What a great prize, the colours are so summery. The Cocoa Daisy website has so many lovable products. I love the ‘Away We Go’ DITL stamp set. I am a sucker for travel themed supplies and this kit is great. So are this month’s die cuts, stickers and tin pins. A beautiful kit. What a neat collection, love the colors and style, also love the Project Art June Kit on the website. I love this kit. My “must have” from the web site is the Project Art June 2015 Kit. Love the Journey dimension and arrows. I love the colours and patterns of these papers. I hope I can win them. Wow, such a great prize! I love the Adventure Awaits stamp set too! Love this travel themed collection. 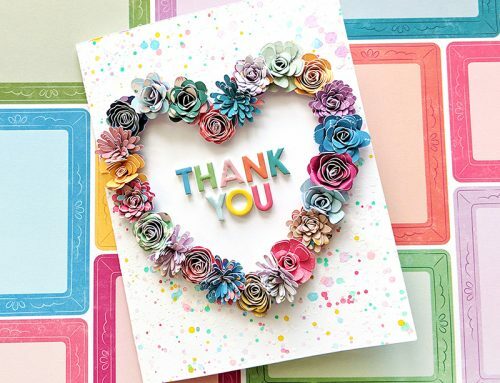 This is a wonderful collection of papers and embellishments! I love the stamp set with the nautical theme and the wood veneer word is a great addition to a travel layout! This is my first view of Cocoa Daisy and I’m loving the papers in the kit! Beautiful! Perfect to scrap the beach trip I’m on right now! I love it all! I love Cocoa Daisy! I really like the Dear Lizzt Fine and Dandy 52 week journal. Thanks so much for a chance to win. Love the map and travel theme! Can think of so many different ways to use these papers and this kit! love the colors in this kit. Thanks for a chance to win.